The technology is there, but strategies are lagging behind. 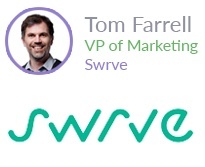 It’s a dangerous disconnect that Tom Farrell, VP of Marketing for Swrve, tells me doesn’t just alienate and frustrate consumers. It deprives app owners and brand marketers of an important opportunity to monetize their audience and assets. But don’t just take Tom’s word for it. In a passionate and well-written post he highlights startling research from Twilio to show the dangerous disconnect between what people want (namely, personally and contextually-relevant communications that move the needle) and what many companies actually deliver. Clearly, businesses are convinced they are sending customers and prospects relevant and useful communications. Consumers, however, see it differently. So, are marketers in denial? Ironically, the issue and answer are one and the same: data. 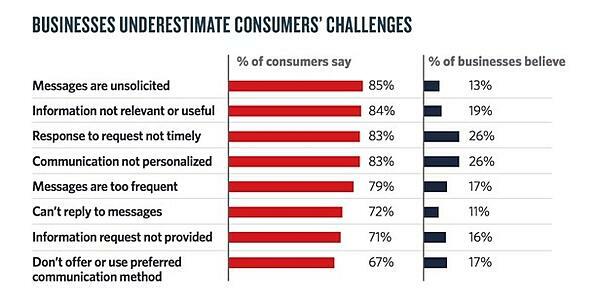 Consumers assume companies are harnessing it to deliver personal, relevant and valuable communications. But, in reality, companies are only using data to power one-to-many advertising and communications that people perceive as noise. It’s also a plus that Swrve decided to partner with Facebook to trigger in-app experiences from Facebook ads. Gartner concludes that “marketers seeking to optimize their mobile real-time performance should consider Swrve.” Tom takes it one step further, offering his pick of the tips and steps marketers can take right now to prepare for the journey ahead. #3) Be clear about where value *really* comes from. Write this one down: Collecting data alone is not a source of competitive advantage. As Tom points out, app companies are data driven by design and marketing decisions are data-informed by default. “The real advantage comes in understanding what happens after the install. It’s just as important as knowing everything that happens leading up to the install,” he explains. “New customers are amazing, and retention has always been the kind of ugly stepchild that companies have been apt to ignore—but that is changing fast.” The App Economy is maturing, and value is produced when and where marketers find ways to keep existing customers coming back and doing more. Find out more about Swrve or check out a demo.